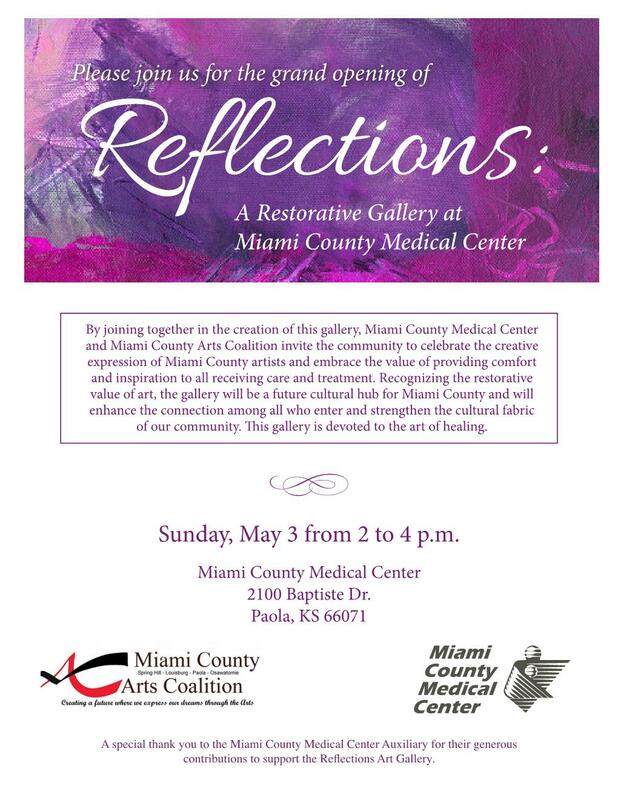 Join us for a truly inspiring afternoon at the opening of the Miami County Medical Center (MCMC) Art Gallery, REFLECTIONS. You will also have the chance to meet the artists! 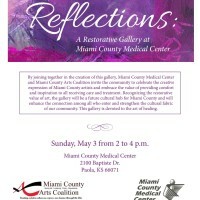 Proudly brought to you by MCMC and Miami County Arts Coalition. This Sunday, May 3rd from 2-4pm.